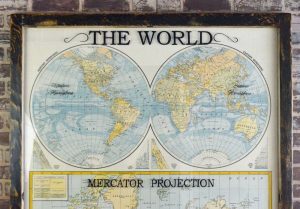 This large antique world map wall artwork is made using an authentic antique map, originally from a set of school maps. 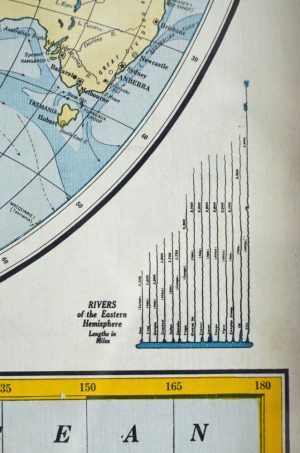 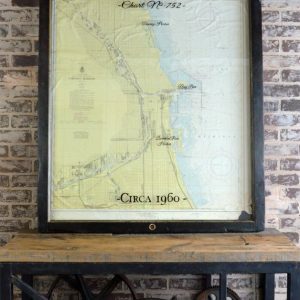 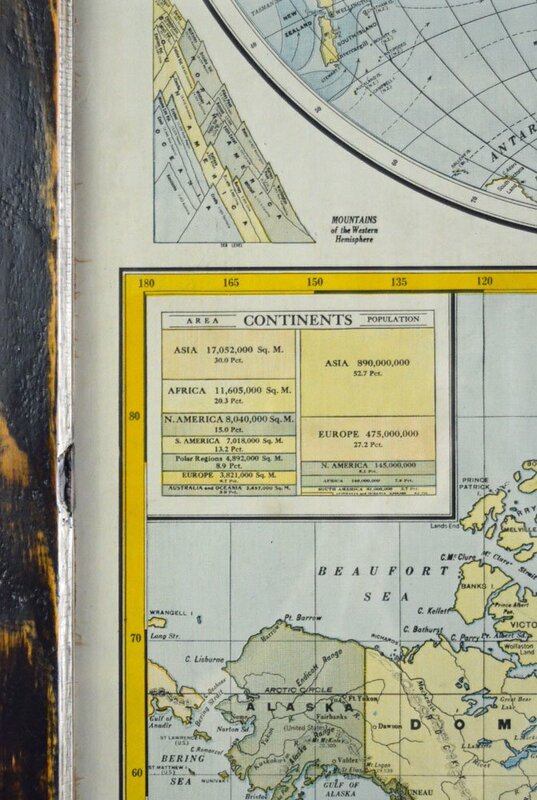 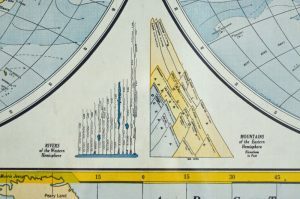 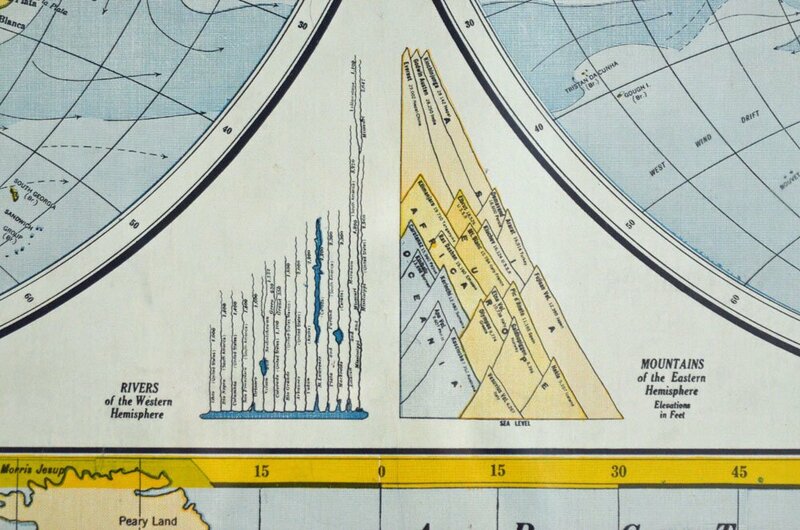 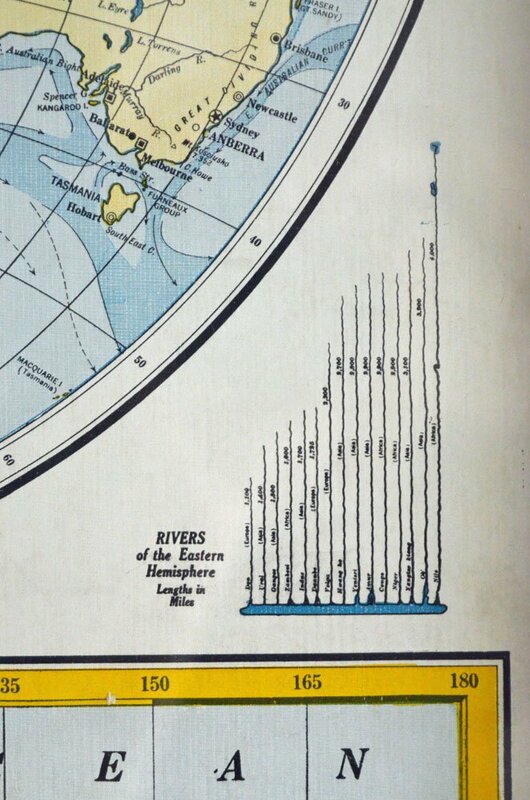 Framed in a rustic vintage window sash, this map is consistent with maps published in the 1920s and 1930s. 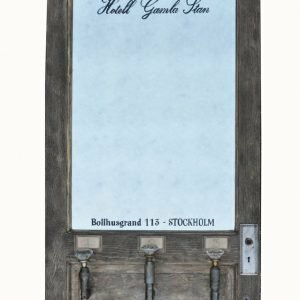 Hand painted lettering on the glass adds interest and character. 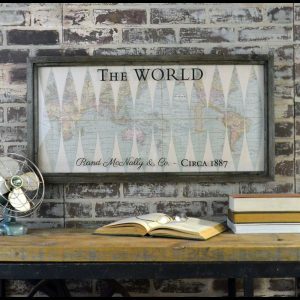 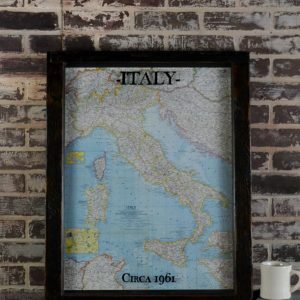 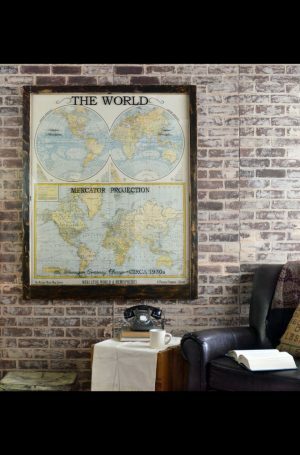 This large antique world map wall artwork is made with an antique pull down world map and vintage window sash. 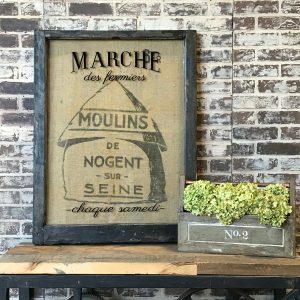 The frame is made from a reclaimed window, refinished with dark walnut stain. 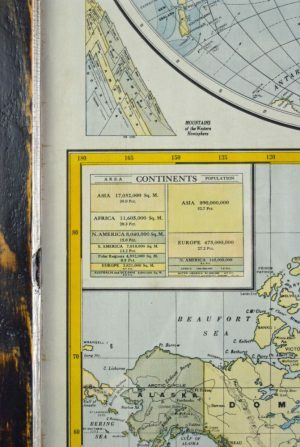 Requires freight shipping due to its large size , which includes a curbside delivery of artwork inside a wooden crate. 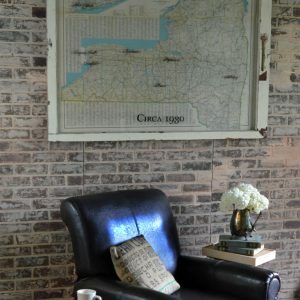 For inside delivery options, please contact us – additional charges apply. 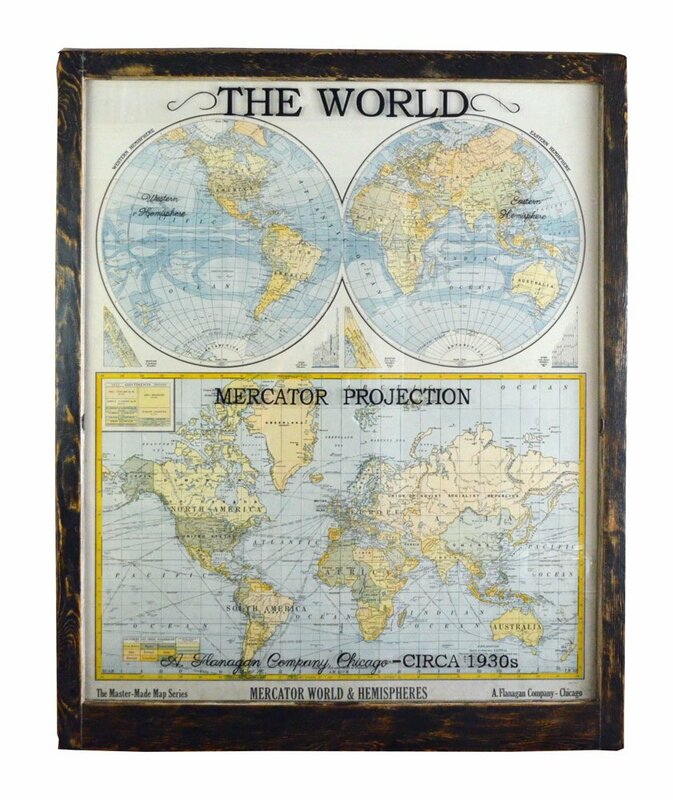 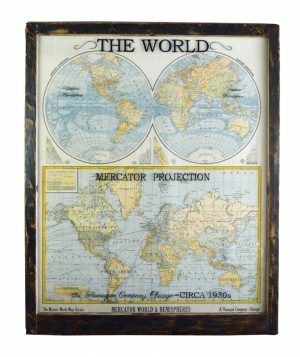 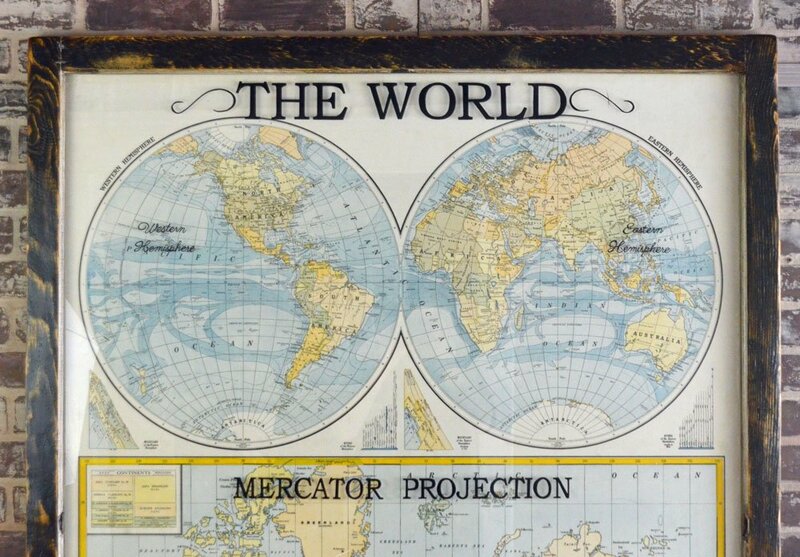 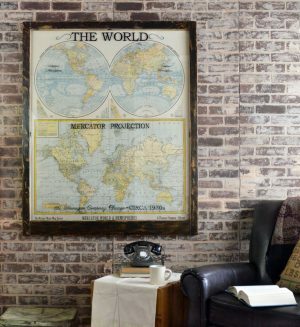 Add vintage character and history to your home or office with this large antique world map wall artwork! Make this beautiful piece of history a part of your home decor.